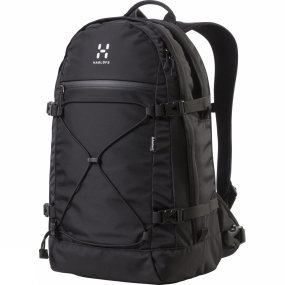 The Backup is a multi-purpose laptop backpack that offers good carrying comfort and room for your business essentials. Teardrop shaped front and side panels provide a low centre of gravity; whilst contoured shoulder straps, continuous sternum strap adjustment, thermoformed back panel and detachable waist belt give adjustable comfort.Multiple storage options are also offered through an internal zippered pocket for CDs, large internal organizer and external pocket with water resistant zips. This backpack fits laptops with 15' screens, depending on the model.